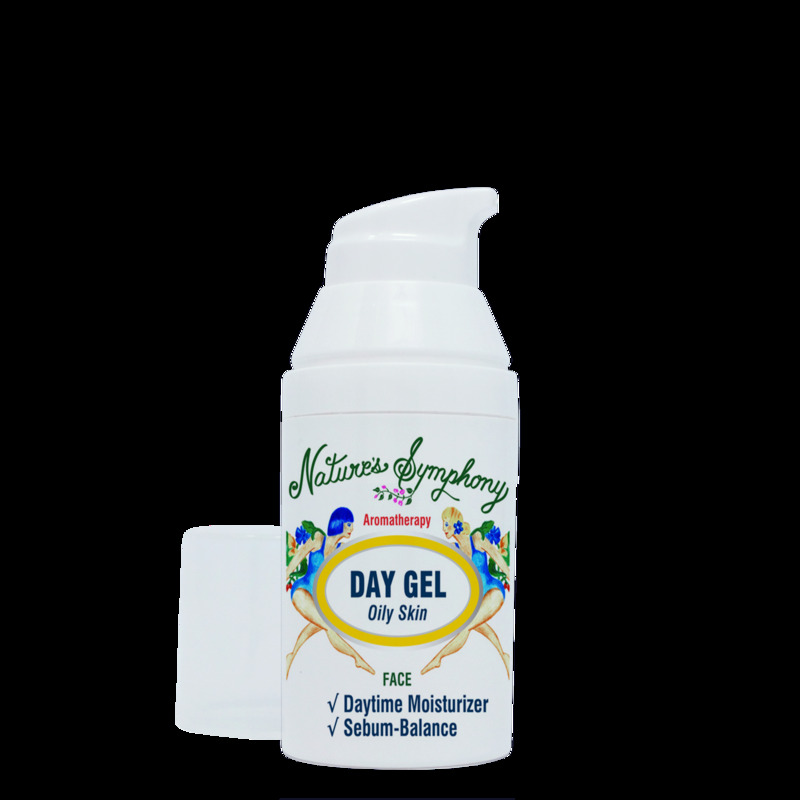 Our all natural Day Gel helps moisturizer and protectant your skin. Excellent combination of nutrient rich moisturizers and skin protectors with a specially formulated organic essential blend to balance sebum - to help reduce oily skin symptoms. It has non-greasy - smooth finish and makes an excellent base under makeup. For best results - mist first with a Natures Symphony Hydrosol and apply only a small amount of the gel. Use: Apply to face as a daily moisturizer and protector. Ingredients: Aloe vera gel - grapeseed oil - wheatgerm oil - hazelnut oil with organic essentials of oils of lemon - myrtle - clary sage - lemongrass and patchouli.